Lillian L. Pitts was born September 29, 1948 in Jacksonville, Florida to Earnest Davis, Sr. and the late Doretha Benefield. Lillian was raised in Atlantic Beach, Florida, she received her early education at Jacksonville Beach Elementary School #144 and graduated from Douglas Anderson High School in 1966. Later she met and married Harry Pitts, Sr. After traveling with her husband and living in Germany, Italy, Maryland, Virginia and New Jersey she returned to Atlantic Beach and soon after his retirement they resided in Jacksonville, Florida. She accepted Christ in her life at a very early age and was a member of Roberts Mt. Pisgah A. M. E. Church in Atlantic Beach, Florida and later became a member of Faith Temple Fellowship Ministries under the pastorate of Bishop Gregory Davis. She was a loyal and dedicated wife, mother, grandmother, daughter and sister. The most important thing in her life was her family, especially family gatherings where she showed her love for cooking and hospitality. She was well loved by those who knew her in her neighborhood, the employees and staff at Davita Dialysis, Frensenius Kidney Care, Baptist South and St. Luke’s Hospitals. Lillian was preceded in death by her husband, Harry Pitts, Sr.; son, Harry Pitts, Jr.; mother, Mrs. Doretha Benefield; and brother, Glen Davis. Lillian will be missed by all those who knew and loved her. 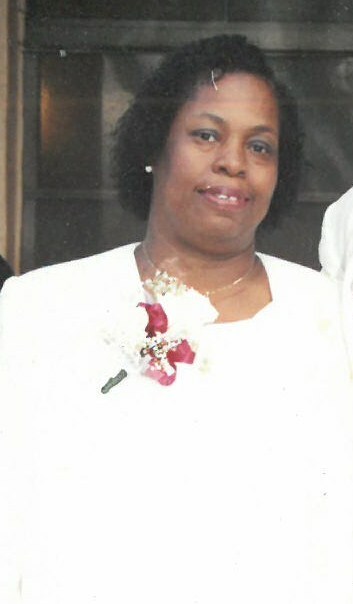 She leaves to cherish her memories, her devoted son, Damien L. Pitts, Sr. (Erika); daughter, Ms. Zina Pitts; grandchildren, Damien Pitts II, Anthony Pitts and Kayla Pitts; father, Earnest Davis, Sr.; siblings, Earnest Davis, Jr., Joyetta Carson, Wayne Davis, Douglas Hogans, Lewis Washington, Arbie Washington, Reginald Washington, Princess Washington and Kaylan Washington; goddaughter, Shanna Dabney; and a long time friend, Harriet Ruffin Williams; and a host of nieces, nephews, aunts, cousin, other relatives and many friends.